Carrots and beets weren’t the only vegetables found in old Polish cuisine. Forgotten vegetables are coming back into fashion – some boldly and others more quietly. Either way, they are surely worth a taste! The Jerusalem artichoke, or topinambur, has been renowned for years. It was introduced into Polish cuisine in the 17th-century and even before 1939, it was known simply as a ‘tuber’. For a time it disappeared from tables, but not from gardens – these plants were often grown at home. The oldest Polish cookbook, Compendium Ferculorum (1682), recommends adding topinambur to meat and fish dishes. Paul Tremo, the court chef of the last Polish king, Stanisław August Poniatowski, served the root vegetable in a sauce of broth with butter and lemon. Not everyone, however, liked their taste. Some authors of popular works from the 18th-century described them as ‘not good’ or as having a ‘scary odour, like bedbugs’. Nevertheless, they were widely available throughout the 19th-century and proponents of vegetarian cooking recommended them for health reasons, claiming they were a ‘very tasty, delicate, and cheap vegetable’. The topinambur was prepared breaded and fried, baked with parmesan and tomato or mushroom sauce, or even served in the French style with vinaigrette. 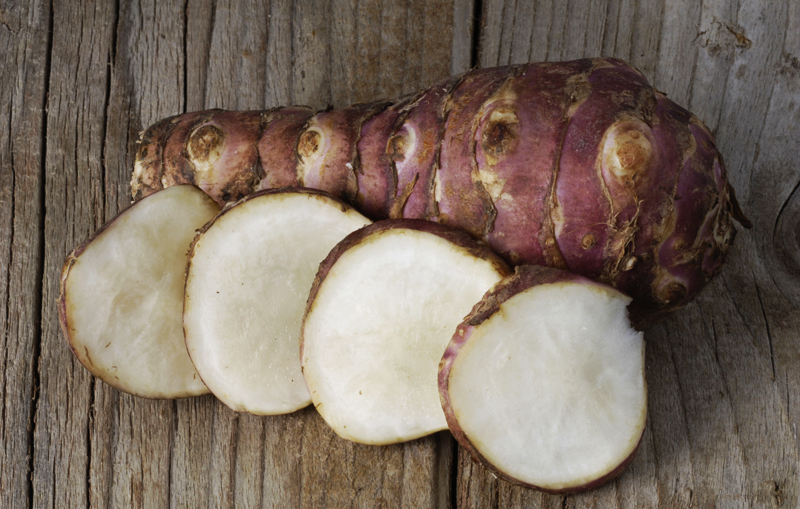 In the 20th-century, the Jerusalem artichoke lost ground to the more popular potato. 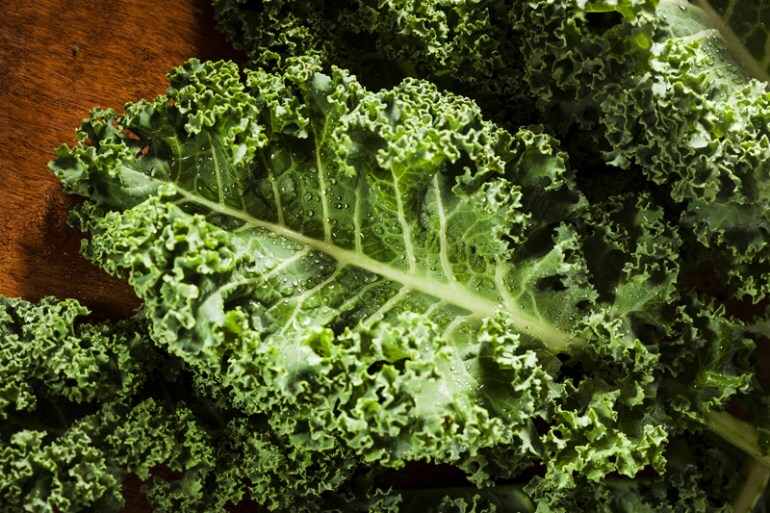 Cultivated since antiquity, kale arrived in Poland centuries ago. Because it is resistant to chill and frost, it was suitable for cultivation in harsh climates. It was prized for its nutritional value, though it has some other surprising culinary uses. For example, in the 17th-century, kale juice was used to dye almond cake green so that it would resemble pistachio! In the 18th- and 19th-centuries, it was prepared like spinach: blanched, stewed or creamed. Chestnuts, egg, bacon and sausage were often added to the prepared greens. At the beginning of the 20th-century, kale began to also find its way into recipes for dumplings (pierogi). After 1945, it was only possible to find recipes for kale in books for amateur chefs. When the leafy green made its comeback a few years ago, it did so in a different lighter, and more modern fashion – in the form of crisps, soups, salads and smoothies. Though the cultivation of artichokes is often associated with the south of France or Italy, however the vegetable has grown in Poland for hundreds of years. Cracovian artichokes were the best in the country. To protect them from the harsh Polish climate, they were grown in partially sheltered locations with a southern exposure and covered in winter. It was once believed that artichokes were for gourmets and had miraculous properties – for example, a woman who ate artichokes would give birth to boys. In 17th-century Polish cuisine, artichokes were served with stewed meat, fish, or pate, though it must be said that staunch Sarmatians were not impressed – they preferred bigos. In the 19th-century, artichokes were mainly as a delicious side, an ingredient in salads served with breakfast or dinner. They were served both with cold sauces and hot with seasonal vegetables like fava beans. Their cultivation was considered easy. Since the communist region associated them with bourgeois consumption, they largely disappeared from the proletarian diet in the 20th-century. 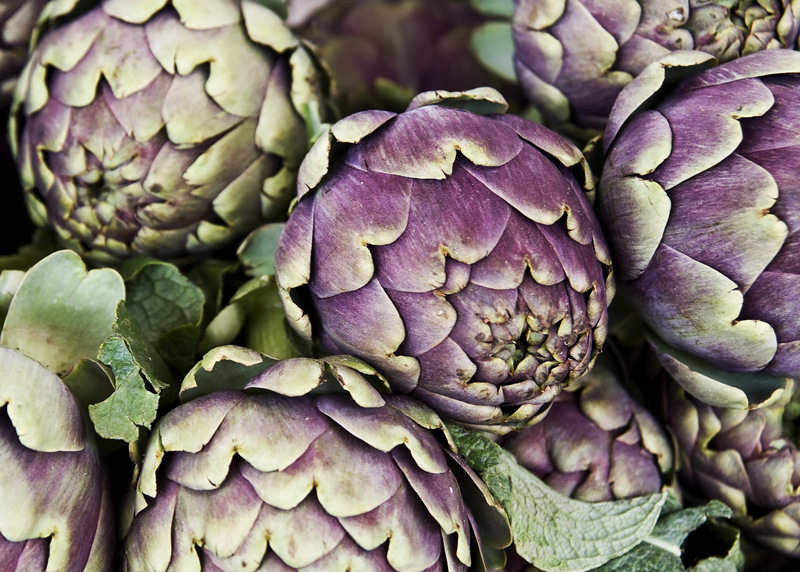 After a several year absence, they are again being grown near Kraków and Polish artichokes can now be found on shelves alongside those from Italy – but they’re no cheaper than the ones from Italy. Manors, Sashes & Portraits: How Did Polish Sarmatians Live? 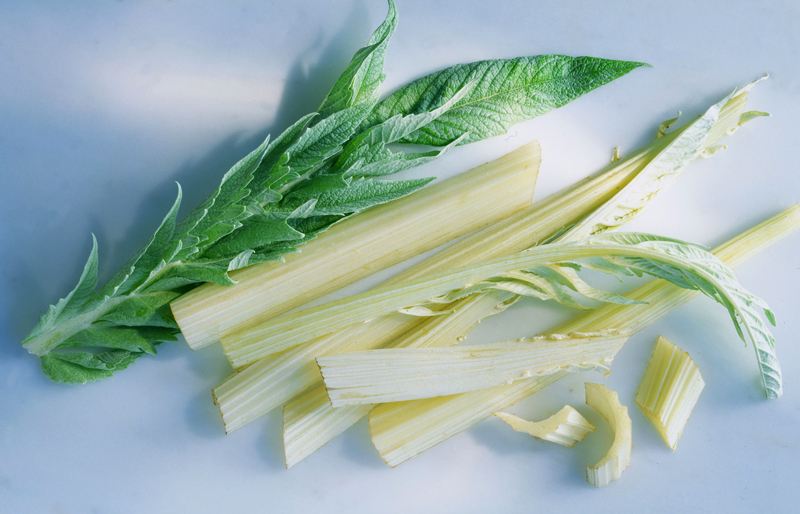 Cardoon (also known as artichoke thistle) appears in 18th-century Polish botanical works and was also considered a ‘luxury’ vegetable. One of Poland’s leading cookbook authors, Maria Ochorowicz-Monatowa (whose ‘Universal Cookbook’ has been translated into English as Polish Cookery) wrote that the white stems were a very delicate winter vegetable, especially delicious with a simple sauce of broth, butter and lemon or served with toasted breadcrumbs and marrow. Just a few decades ago, parsnips were known more for the popular children’s rhyme ‘fig with poppies and parsnips’ than as a culinary treat. Recently they’ve found new value among foodies. They are actually more available than you might think – for example, a few years ago, inspectors found that Polish supermarkets were selling imported parsnips as parsley root. Józef Peszke, a scholar of early 20th-centry Polish cuisine, analysed Władysław Jagiełło’s (15th-cetunry) accounts and confirmed that parsnips were listed in court records: they were served with fish, cultivated on royal property and sold at market. In the 18th-century, they joined carrots as an essential element of Polish soups and thick sauces or as an addition to meat dishes. Parsnips fried with sugar were also thought to be good for your stomach. Though easy to obtain in the 19th-century, they became quite rare in the interwar period. Today, they are making a comeback and can be found baked with spices, made into chips, or added to cream soups. Both Salsify and Scorzonera were known in antiquity and over time made their way to Central Europe. They were often prepared like asparagus – with hollandaise sauce or béchamel sauce, breaded and fried or in pastry. They were described by one pre-war proponent as ‘very useful for the body and delicious, if well cooked’. At the time it was already noted that ‘we lead lives full of nerves and anxiety. We are seated all day and consume meat in large quantities throughout the day (especially in the evening). It is harmful to the human system. It is certain that one should eat a lot of fruit and vegetables, as well as dairy, with meat only as a small supplement’. This advice still rings true today. 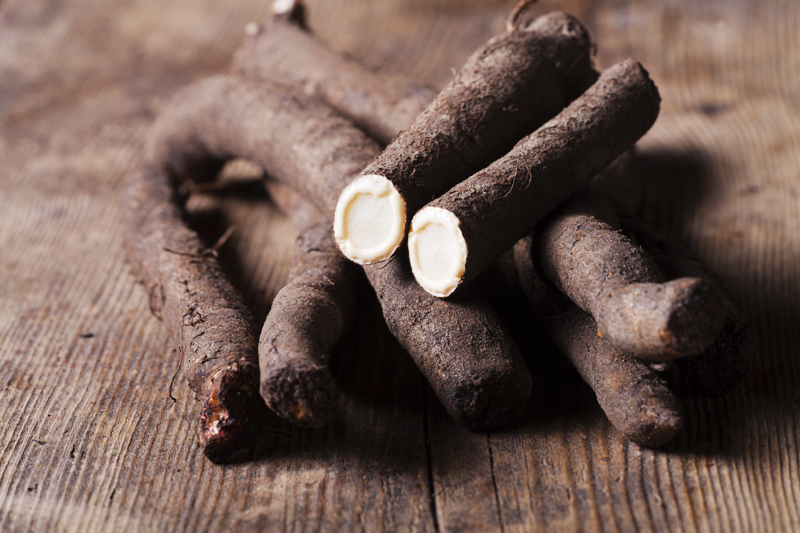 Both salsify and scorzonera have been available for some time in farmer’s markets, small shops specializing in rare vegetables and occasionally in restaurants. Many foreigners associate Polish cuisine with beets. And they have indeed been eaten since time immemorial. Few know, however, that chard – so popular in trendy contemporary healthy cooking – and not its tuberous cousin was the first to be cultivated in Poland. At the turn of the 19th-and 20th centuries, Józef Rostafiński, a botanist and professor at Jagiellonian University in Kraków, wrote a history of beets. 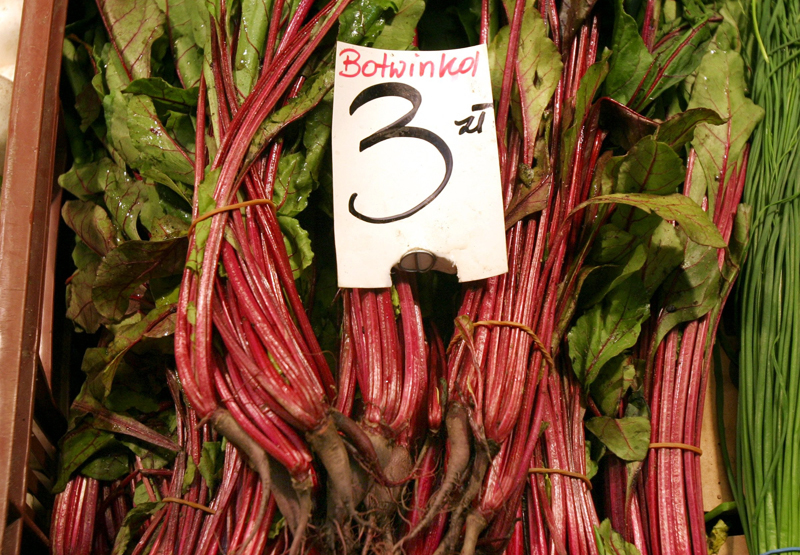 According to his research in medieval Poland, only leafy varieties like chard were known. Beetroot wasn’t imported from Italy until the Renaissance period. Then, beets were baked or added to sauerkraut to give it a rosy color. It was some time before they were sown in Polish fields, but by the 19th century beetroot soup had become a staple of the Polish diet. As beetroot and grain crops improved, cultivating chard fell out of fashion. Already by the start of the 17th-century, chard was thought to be the food of the poor. Though it is still grown here and there, it remains reminiscent of more difficult times. Pumpkin was once a very popular vegetable, eaten mostly by those in the country and sometimes fed to cattle. The cultivation of pumpkin on Polish lands is mentioned in texts that date back to the 16th century – when it was already recognised as good for the stomach. In Szymon Syreniusz’s famous Herbarzu (16th/17th-century) one finds recipes for pumpkin soup with milk and spices, or with cheese and gooseberries. It was also eaten breaded and fried in oil. In the 17th-century, naturalist Jan Krzysztof Kluk relayed recipes for pumpkin dumplings, pumpkin bread and pumpkin spice cake – all dishes that would interest people today. 19th-century authors point out that when properly prepared, pumpkin is tasty and very easy to digest. 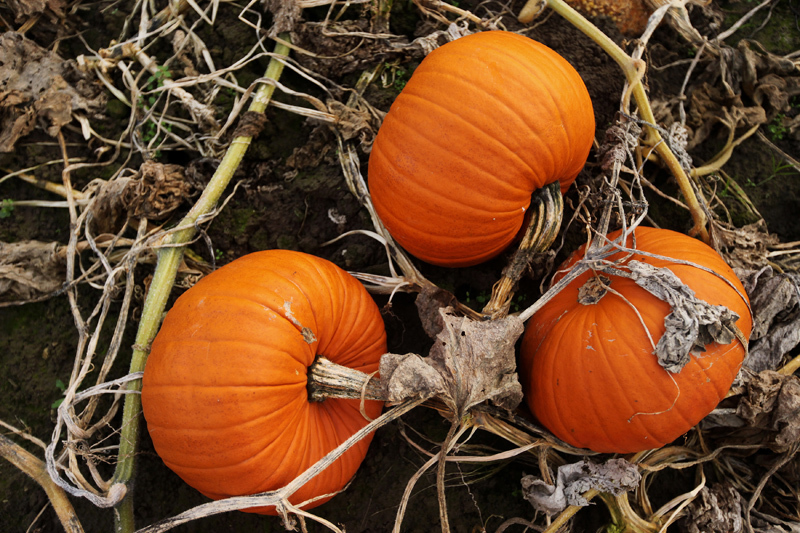 After 1945, pumpkins were cultivated, but their applications were limited pickling in vinegar. They had to wait a few decades for a true culinary renaissance in Poland – today books and blogs are bursting with recipes for pumpkin soups, pancakes, casseroles and cakes. The turnip – hero of Julian Tuwim’s pre-war poem Rzepka (editor’s translation: Turnip) – appears in sources from the middle ages. 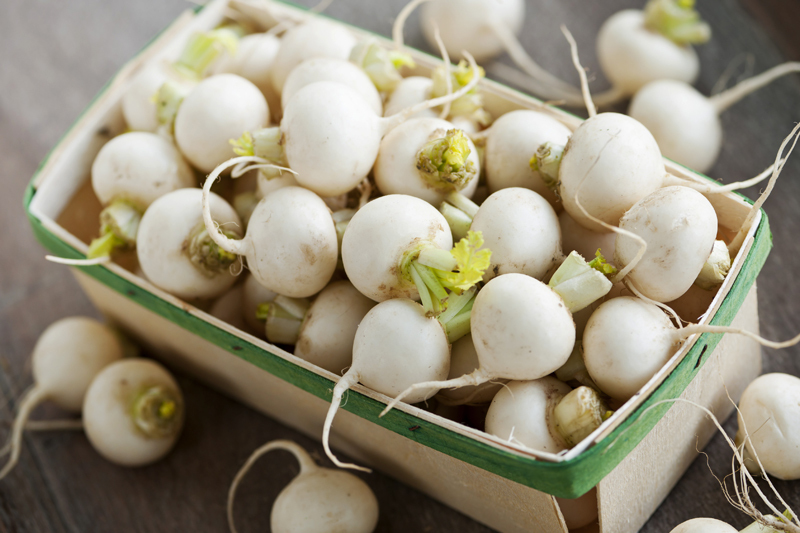 Turnips were the foundation of the diet of lower classes, but they were also eaten in the royal court – in daily life and in times of abstaining from meat. They were eaten raw, boiled, or roasted. In the winter they were smoked and thought to be fortifying. In the 19th-century, they were cooked liked rutabaga, served ‘a la polonaise’ with browned buttered bread crumbs, and sometimes prepared with a roast or sausages. Pickled turnips are recommended for people with weak stomachs and though you still hear the saying ‘healthy like a turnip’, the vitamin rich vegetable isn’t easy to find and hasn’t yet become as trendy as, for instance, kale. 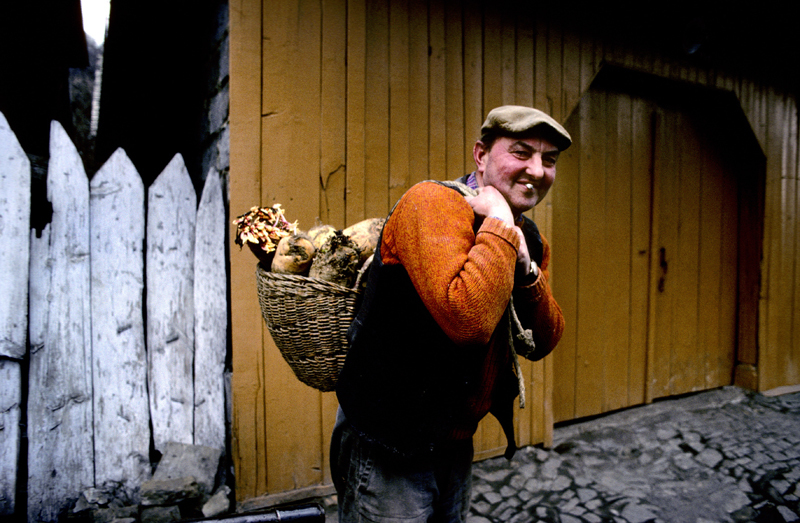 ‘Brukiew’ on middle-class tables and ‘karpiel’ among peasants, rutabaga was once a staple of many working-class diets (often prepared as a part of a hearty soup with potatoes and beans), and during the war, it became a fixture across class lines. Probably because of this association with hard times, today it has largely been displaced from culinary consciousness – aside from its inclusion in regional specialties like tasty Kashubian soups or goose with marjoram. Rutabaga was never associated with anything particularly pleasant or tasty. In old cookbooks, the recipes for rutabaga were simple; either served as a puree, boiled and served with fatty meats (bacon or mutton) or shredded and mixed with horseradish, onion and greens in mayonnaise. Though today some chefs are experimenting with new recipes, rutabaga is probably the forgotten vegetable that remains hardest to find.